Feel free to sign up for any of the courses you need to be more successful this year. While this is a series, each class is a stand-alone training workshop and can be taken without the others. If you miss any of the classes, they will be offered again in the same sequence next year. Eventually all of them will be offered online, but currently, only the Branding workshop is available virtually. "What an eye-opener! Nikki shared what it takes to create a trusted brand. By emphasizing the work that comes before any logos or colors are chosen, she helped me look deeper into what a brand actually represents." "It was a day well spent! The content and process was beyond excellent. I have a strategy for 2019, tailored to my business! It was great to share with others, yet also stay focused on what my business needs. When a program is as good as this one, the world needs to get out. So helpful to the businesses who can participate." 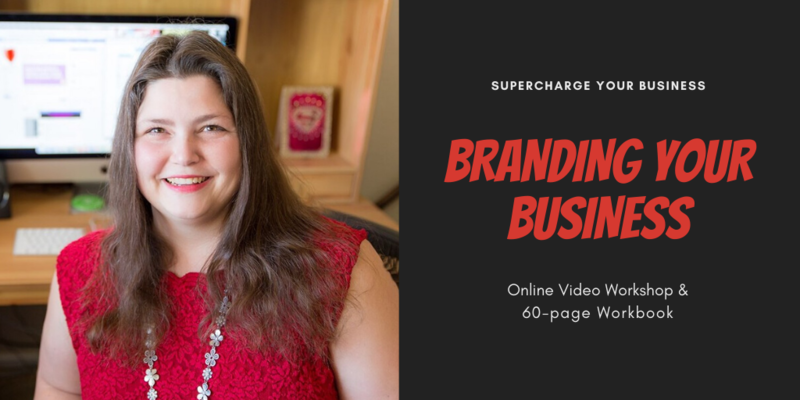 "I am about 2/3 through the branding video. I keep stopping and working on the workbook. On Saturday I was working on my branding positioning statement and literally ended up in tears. This has been such an emotional and transformational I really enjoyed the parts about the mission and vision statement and core values. All important to how I present my self. It has been a great opportunity and journey for me and my business, realizing what I was doing wasn't really what I wanted to do anymore. The changes are super exciting and sort of scary because it is so different and unconventional self-discovery...Thank you!!" Branding is so essential but is also a concept that is frequently misunderstood. Come learn more about how to develop your brand so that your marketing is consistent and attracts the right audience. Building a business brand is the first step to marketing and growing your company. 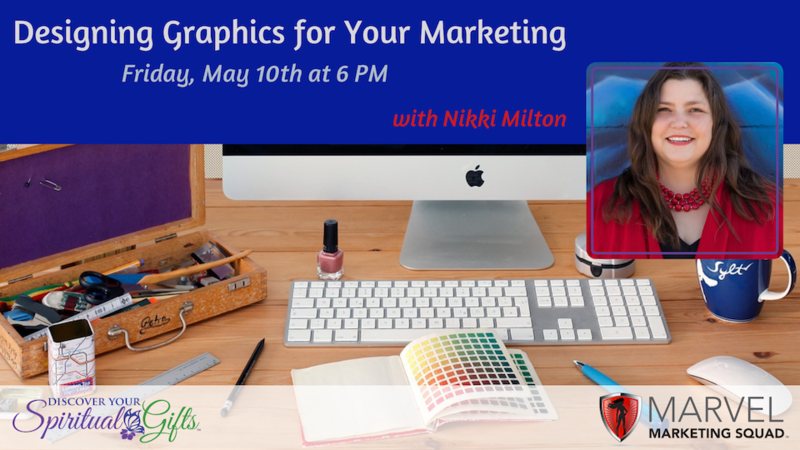 Nikki Milton has been teaching branding and marketing for over 10 years. She owns a marketing company that specializes in curating and creating content for entrepreneurs and small business owners. 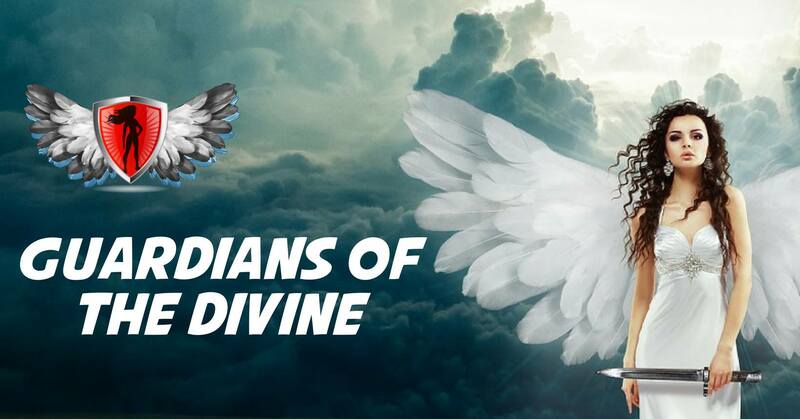 In this class, expect an in-depth look at branding and how to incorporate into all areas of your spiritual business. Students will receive a digital workbook with their course admission. The elements of a building a business brand. Details steps for creating your own brand. What NOT to do when branding. What branding will accomplish for your business. How to stand out from your competition. Building an online presence for your business. Just because you decided to run a small business, doesn't mean that you have experience in marketing. This course is designed for Spiritual entrepreneurs looking for new strategies to market themselves online. Nikki Milton owns a marketing company that specializes in curating and creating content for entrepreneurs and small business owners. In this class, expect a basic overview (and loads of ideas!) for different ways you can market your products or services online. Basic marketing ideas and concepts including the importance of content marketing. Email marketing/lead tracking and why it's still a worthwhile strategy. How content and social media boost your SEO efforts. The importance of content marketing and how all of these strategies combine to create a powerful online marketing presence. Where and How to Market Your Business, both online and offline. Are you an entrepreneur or small business owner looking to incorporate social media into your marketing strategy? Do you want to use Facebook to promote your business but not sure where to start? Nikki will be sharing with you the basics of using Facebook to promote your business. Bring your laptop and work in your Facebook page as you attend the class. Setting up a company page for your business. Discussing the various privacy settings available. Sharing on both your personal profile and business page. Ideas for what and when to post, plus what works best in 2017. Using Facebook events, groups, and advertising. Scheduling posts natively on the site. How to access analytics and adapt your strategy as you go. 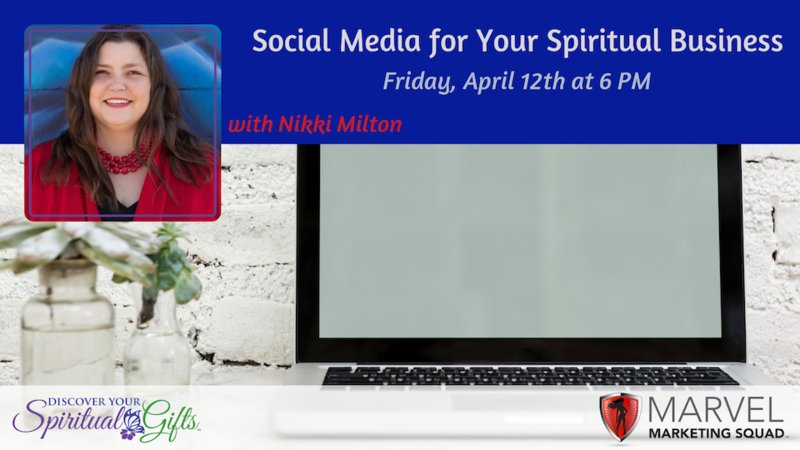 Ready to dive into social media to market your spiritual business but not sure what platform, what to post, when to post or how to reach people? Then this class is for you! 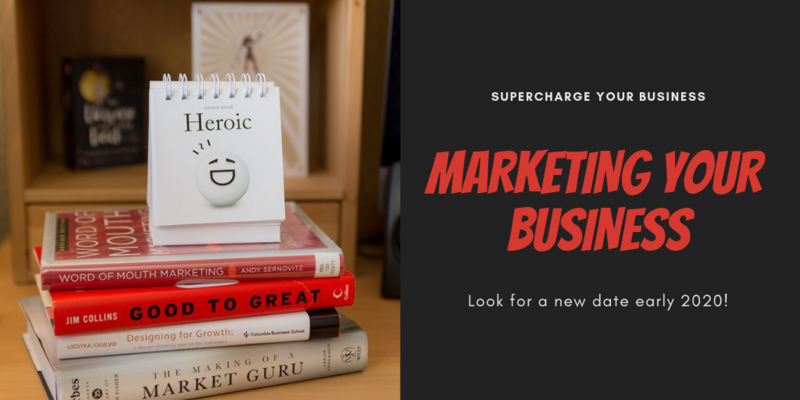 Learn about all of your social media options, advice for what to invest your energy in, and how to stand out from others who are using social media marketing to promote their work. Multiple social media platforms including Facebook, Twitter, LinkedIn, Instagram, Pinterest and Google+. What to post, when to post, how to post, and where to post your social media content. - How to reach your target audience using social media. It is all about grabbing the attention of your target audience. Learn basic graphic design tips you can use on your website, social media and in your marketing materials. We will spend time working with some free online tools to show you how easy it is to create eye-catching graphics for your marketing efforts. We will be doing a tutorial on the free graphic design tool, Canva. Set up your FREE account with Canva.com before the class and bring your Laptop. We will be working on creating social media ads in class. We will be spending some time working with online tools to help you create eye-catching marketing for your marketing efforts. 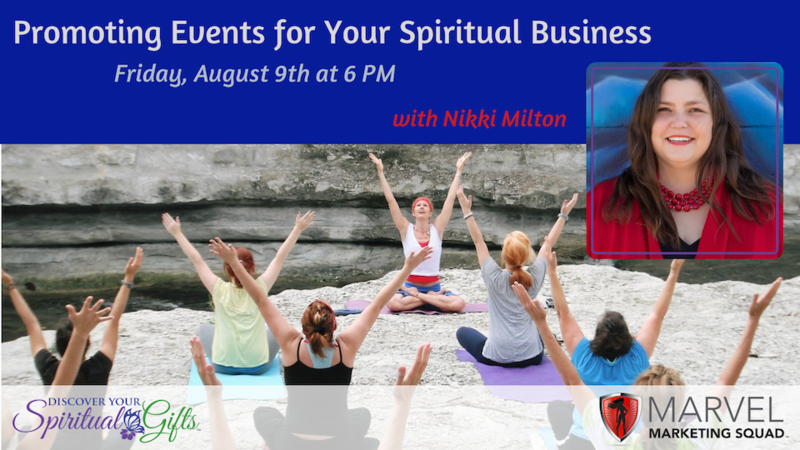 Are you a spiritual business owner that regularly schedules events, gatherings, classes or workshops? 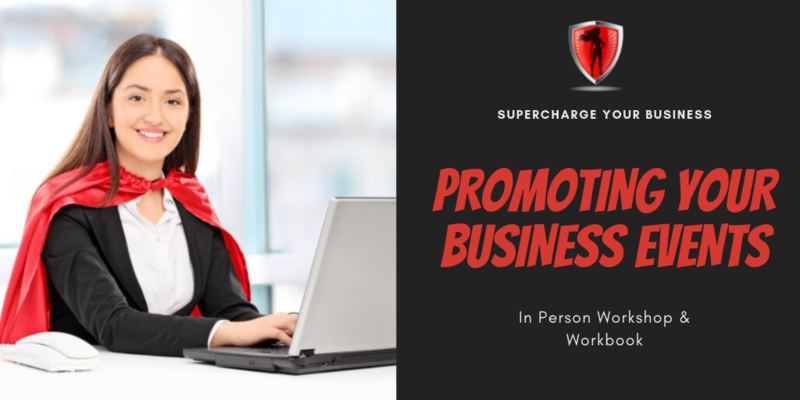 Learn how to effectively promote your next event online to achieve maximum impact and finally get some BICs (Butts in Chairs). What if you could set aside a day and plan out your business strategy for 2020? Wouldn't it be great to go into January knowing you already had a plan in place to go after your growth and success? 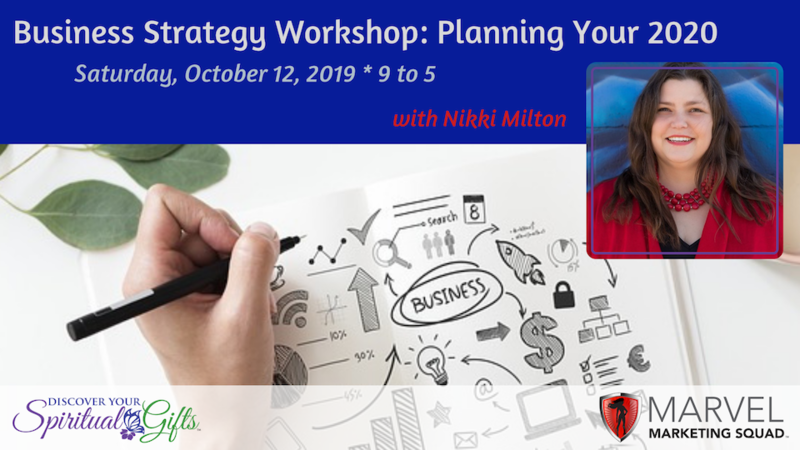 Join me for a guided, full-day, strategic workshop to plot the course for your business next year. PLUS Additional Resources for YOUR Success! No more stumbling in the dark. No more flying by the seat of your pants. Being the Everything CEO of your business is tough. Start charting out your 2019 with us at this workshop. Imagine what you could get done before the year even starts once you have a set direction and a clear purpose. Cost for the weekend workshop is $125.00. Day One is training and Day Two is implementation. Snacks and drinks will be provided throughout the day but plan to bring your own lunch.